Pleated skirts keep being a hot trend also for Fall/Winter 2018, both in a single color and also with floral and bold prints. I love maxi skirts and I prefer to wear them with flat shoes: sneakers and also loafers just like these ones, for comfort and style. In these pics I am wearing also my new Malloni bag, a super soft leather bag that is incredibly roomy and it's currently one of my favorite daytime handbags. What do you think about Gucci loafers or Gucci lookalike loafers? How do you like to wear flat loafers? Le gonne plissé saranno ancora un trend in voga per questo autunno/inverno 2018, sia in colorazione unica che con stampe floreali e vistose. Io adoro le maxi gonne e le preferisco sempre con scarpe basse: sneakers e anche mocassini, come questi, per unire stile e confort. In queste foto potete vedere anche la mia nuova borsa Malloni, in pelle super morbida, è estremamente spaziosa e attualmente una delle mie borse da giorno preferite. Cosa ne pensate dei mocassini Gucci o comunque di mocassini stile Gucci? Come preferite indossare i mocassini? You have the most incredible style. And I love the shoes so much! Dear Vale, you are wearing your Gucci loafers in a perfect way! Such a wonderful look! What a cute Location on the carousel Vale *. * Love it. And yourgucci loafers are simply perfect and you wear them in a perfect way. 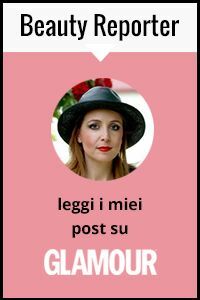 Io adoro sia le gonne plissé che i mocassini, i tuoi sono stupendi!